Visitation for Charles "Chuck" Henshaw, 75, of Manteno, will be from 3-8 p.m. Friday at Brown Funeral Home, Manteno. Services will be held at 10 a.m. Saturday at the First Baptist Church in Manteno. Rev. Hal Trovillion will officiate. Burial will be in Elmwood Cemetery, Manteno. Memorials may be made to the donor's choice. He died Tuesday (June 21, 2005) at Riverside Medical Center, Kankakee. Mr. Henshaw worked at Manteno State Hospital until it closed. He then went to the Tinley Park facility, where he retired after 30 years of service as a central dietary supervisor. He was born May 21, 1930, in Harrisburg, the son of Ernest and Pearl Jenkins Henshaw. He served in the U.S. Army during the Korean War. 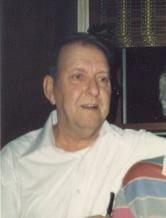 He was a lifetime member of the Manteno Sportsman's Club and loved fishing and gardening. Surviving are his wife, the former Phyllis Lavender, of Manteno, whom he married April 20, 1957, in Kankakee; two sons, Jeff Henshaw of Manteno, Darrell Henshaw of Momence; one sister and brother-in-law, Floette and Jessie Hill of Golconda; three brothers and four sisters-in-law, Dean Henshaw of Harrisburg, Carl and Mary Henshaw of Mesa, Ariz., Gary and Donna Henshaw of Marquette, Mich., Delores Henshaw of Peotone; three grandchildren; and many nieces and nephews. One brother, Vonnie, is deceased.